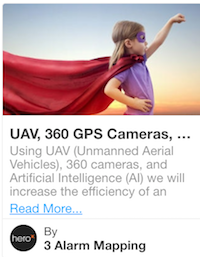 Drones, or Unmanned Aerial Vehicles (UAVs), are a surprisingly useful tool. Far from being limited to military applications, drones have made a huge impact on a diverse group of commercial industries. Not the least of those is real estate - photography is the bread and butter of real estate transactions, not only for selling properties but also for documenting them. Drones can take stunning aerial photos and videos, providing a whole new perspective on locations that realtors are trying to sell. 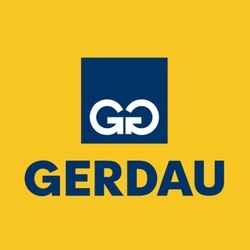 If you're a realtor looking for a modern touch you can add to your pitch, look no further. Drones for real estate come at a wide variety of price points, from several hundred dollars to several thousand. Here are some of the best drones currently being used by real estate agencies, and why you might want to consider them yourself. Very expensive, but the Phantom 4 PRO by DJI is seen as the best-in-class for aerial real estate photography. And that's good, because it currently costs around $1,500. It's probably the smartest UAV on the market, able to follow the user while avoiding obstacles like trees and power lines. This latest model is stronger, lighter, and more agile than previous versions, reaching speeds of up to 45mph (72kph). It has 3.1 miles (5km) of range, and can fly for 28 minutes at a stretch. It can take 4K ultra HD video at 60fps, with a built-in stabilizer for smooth cinematic videos. Burst Mode stills can be taken at 14 fps. 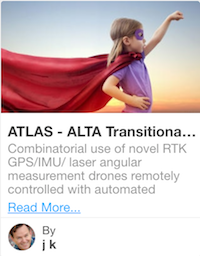 This drone can hover, be controlled by a user, or be sent along a GPS-guided path. There are a number of guidance/camera modes, like Point of Interest, GPS Waypoints, Course Lock, and others. You can even draw a path along a map, and the Phantom 4 will follow the line. It's great for both amateur and professional high-resolution aerial photography, though it's sensitive to bad weather. A cheaper model in the Phantom line, the Phantom 3 Standard is still a great drone. 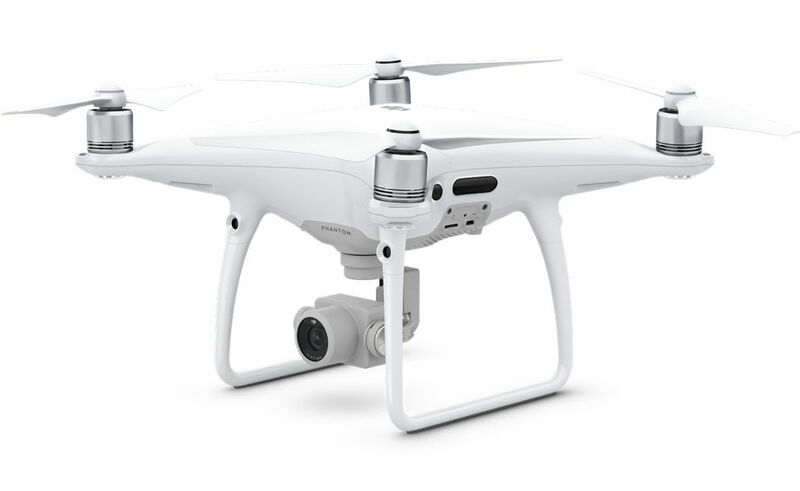 And since it's an older model, it offers one of the best values for the money you'll spend – around $500, about a third of the price of the Phantom 4. It's easy to use for beginners making it a good option for real estate agencies looking to get started with drones. 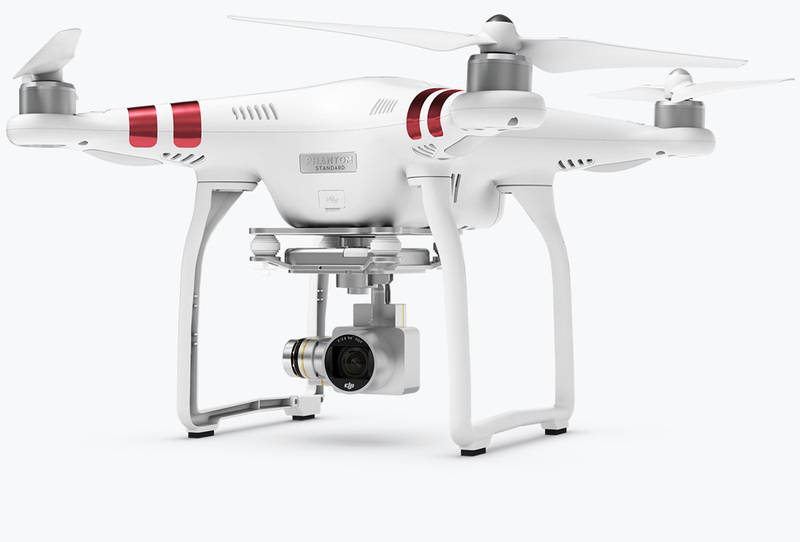 The Phantom 3 shoots video in 2.7K, and takes photos in 12MP. It's very stable, with an auto-hover mode that keeps it in place when you're not controlling it. This drone can fly for 25 minutes at a time. There's are also a few other models of the Phantom 3: the Phantom 3 Professional, the Phantom 3 Advanced, and Phantom 3 4K. Each one has a few of its own unique features, which could be more useful for some realtors. The Phantom 3 4K, for example, can even fly indoors, allowing you to create incredible guided tours through homes. The Yuneec Q500 4K Typhoon is a larger drone, known for capturing exceptionally smooth videos – it's like a tripod in the sky. It comes ready to fly out of the box, and your purchase can include a sturdy carrying case to hold the drone and accessories. This UAV can take ultra-HD 4K video, and, unlike other drones, can even capture 1080p/120fps slow-mo video. A 12MP CGO3 camera is included, with a 115-degree wide-angle distortion-free lens that prevents those fish-eye photos. Another feature setting this drone apart is the SteadyGrip attachment, which lets you hold the drone to take professional-level photos and videos from the ground. Its battery will last for 25 minutes at a time, and you can get two batteries with your purchase. If you really want to go pro, this might be the option for you. 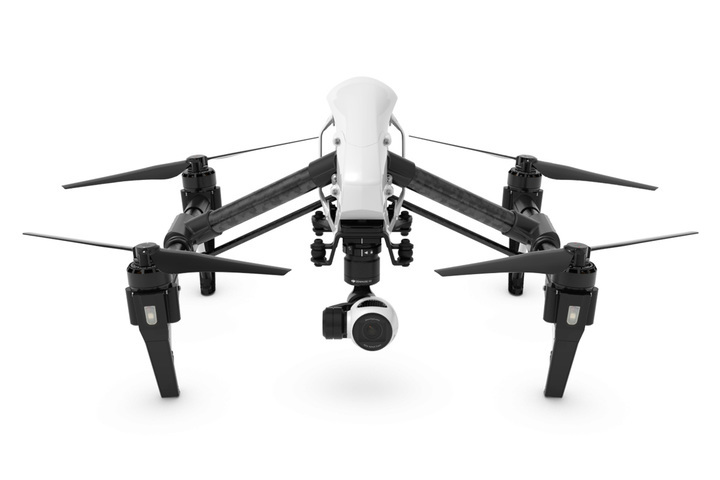 The DJI Inspire 1 v2.0 is a commercial-grade drone, compared to the Phantom 3 and 4 which are consumer drones. This is a serious UAV, so be prepared to pay for it. Unlike the others above, this quadcopter can be operated by one or two people, depending on your needs. The camera is powerful, capturing 4K video up close or clear HD video from up to 2km away. The four arms can lift up and out of the way, giving you an unobstructed 360-degree view. The controller includes a tablet that lets you control the drone from a first-person view. You get to see from the perspective of the UAV, rotating and tilting the camera by tapping and dragging. You won't have to wonder if you're taking great video – you'll be able to see it as it happens. Drones are fast becoming the go-to choice for serious photography and cinematography. As the tech advances and the costs go down, UAVs will become useful for more purposes. They're already being employed to help sell real estate, but their role in this industry is just getting started. That's why we're looking for a new way to use drones to speed up commercial real estate transactions, which are infamous for being very time-consuming. 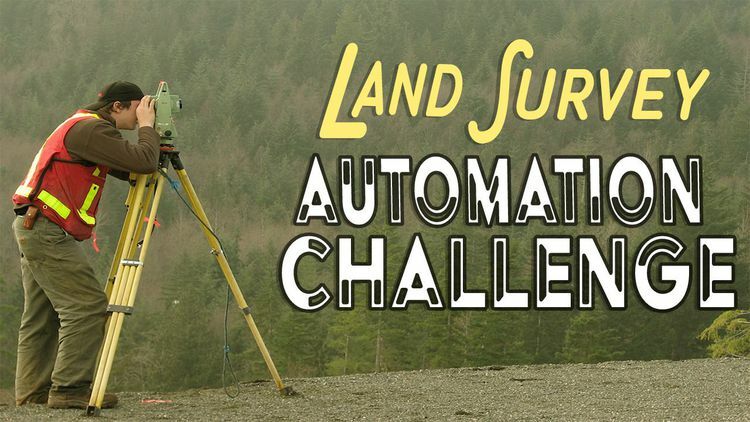 The $100,000 Land Survey Automation Challenge is looking for a way to speed up those transactions, by creating a more efficient, autonomous property survey system. This challenge is currently in the Register for Prototype Phase, and winners of the Concept Phase will be announced in mid-April. So keep your eye on the sky, and be on the lookout for the finalists! Drone racing. It could be coming to an arena near you. It's gaining popularity incredibly fast – the Aerial Sports League has been around since 2011, the Drone Racing League (DRL) has been in business since 2015, and ESPN even broadcast the 2016 DRL Nationals last year. If you don't know how it all works yet, drones fly around an arena at breakneck speeds, controlled by “pilots.” The pilots get a first-person-view from the drone streamed into a pair of goggles they wear, letting them control the craft as if they were actually flying in a cockpit. It's a pretty incredible sight, because these drones can sometimes exceed speeds of 120mph. But they don't often reach those speeds, because they're usually too busy banking, diving, and spinning through the amazing courses designed to test the skill and endurance of the pilots. Some drone racing arenas are fantastic. The courses are three dimensional (because drones can fly up and down) and full of psychedelic neon lights, shapes, and obstacles. They often take place in sports stadiums, though they can also be found in underground caverns, and, more frequently, in dedicated arenas of their own. Other times the races take place in simpler settings, without a full-blown pre-staged arena. You can host a drone race in a field, a construction site, a garage – anywhere you have enough room (as long as you steer clear of unaware bystanders). For most people drone racing is still a hobby, rather than a money-making opportunity. But that's set to change soon. Allianz, a major name in broadcasting involved in Formula 1 racing and many other sports, will be sponsoring the DRL 2017 championship. Drone racing could well become one of the most popular sports in the world, potentially beginning to rival the fame of eSports. Eventually, drone racing broadcasts could include a set of goggles for the viewer, letting you see the race from the perspective of the drones themselves. The sport would become even more exciting, giving fans a way to experience the race in totally new ways. While there isn't a lot of money in drones for the average enthusiast right now, there are still some large cash prizes to be won at some of these tournaments. If you want to see what a full-fledged championship drone race looks like, check out the final race of the World Drone Prix 2016, held in Dubai. The $250,000 first prize was won by 15-year-old Luke Bannister, beating out 150 other teams. The world of drone sports has even more to offer. It's not just racing, there are also – drone fights! You might already know about the robot battles that have been taking place for a while. But drones are getting in on the action too, and actually have been for quite a few years now. It isn't the most exciting sport to watch yet, but if you imagine what might come as people experiment and innovate, this could turn into a very cool sport (maybe we'll see drones with paintball guns attached, or electric zappers?). It sounds like a very expensive way to have fun – purposefully breaking costly aircraft – but these drones are built for battle, and the damage is usually to the cheap rotors which can be quickly replaced. It's a good time to be a drone enthusiast. If you want to get in on the racing action but you don't have a drone yourself, you can try out the free DRL Racing Simulator. You can race your friends through real courses, and participate in global competitions. As fun as drones can be, they're even more valuable when it comes to business and commercial purposes. 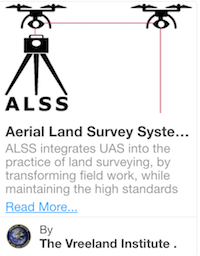 We think they could help out big time in the $100,000 Land Survey Automation Challenge, a global competition to create a more efficient way to conduct property surveys. Drones can be programmed to conduct these surveys, saving an incredible amount of time, money, and labor. The winners of the Concept Phase of the challenge will be announced soon, so be sure to keep an eye on the challenge for upcoming developments! Want to know what ideas were submitted in the Concept Phase? This is also a great way to find that key teammember you are looking for! Comment directly on their submission or click on their image to go to their profile and send a private message.